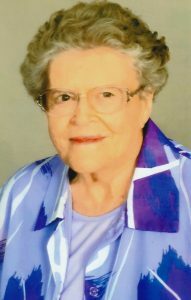 She professed faith in Christ and was a member of Hogards Chapel United Methodist Church and also attended Campbellsville First Cumberland Presbyterian Church. Anna Jean retired from Taylor County RECC after some 40 years service. She united in marriage to Wesley Rattliff February 15, 1955 and he preceded her in death January 10, 1983. She later united in marriage to Forrest Rhinehart who survives. She was a faithful and loving wife to both Wesley and Forrest. She was all about her church and family and friends of whom she had many. Besides her husband, Forrest Rhinehart of Campbellsville, she is survived by one son, James Ralph Rattliff and wife, Jennifer; three grandchildren: Justin Rattliff of Westchester, Ohio, Olivia Rattliff and Samantha Willis of Campbellsville, several nieces and many other relatives and friends.